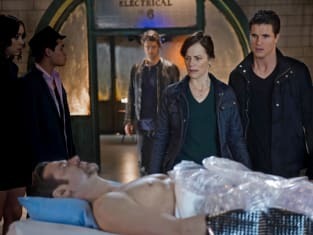 The team tries to revive Roger out of his frozen state. The Tomorrow People Season 1 Episode 20: "A Sort Of Homecoming"
Roger: Not much has changed. Thanks for bringing me back from the dead. Permalink: Thanks for bringing me back from the dead.